These puppets are irresistible! The faces and fabrics are engaging and make you just want to play with them. 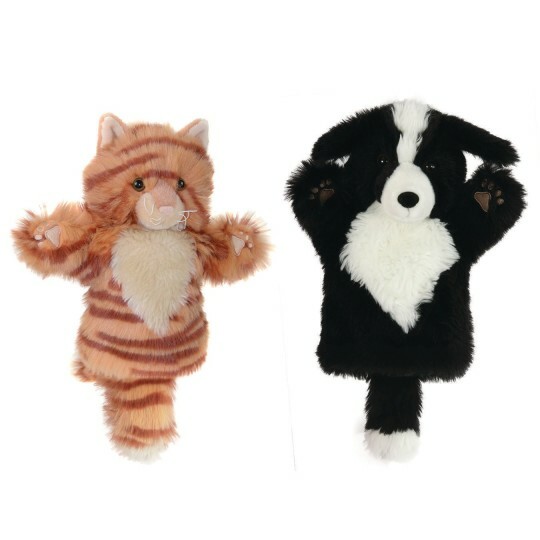 Representing favorite animals - Border Collie Dog and the Ginger Colored Cat, these plush puppets are suitable for children and adults with a smaller hand size. Average height of puppet is 10".